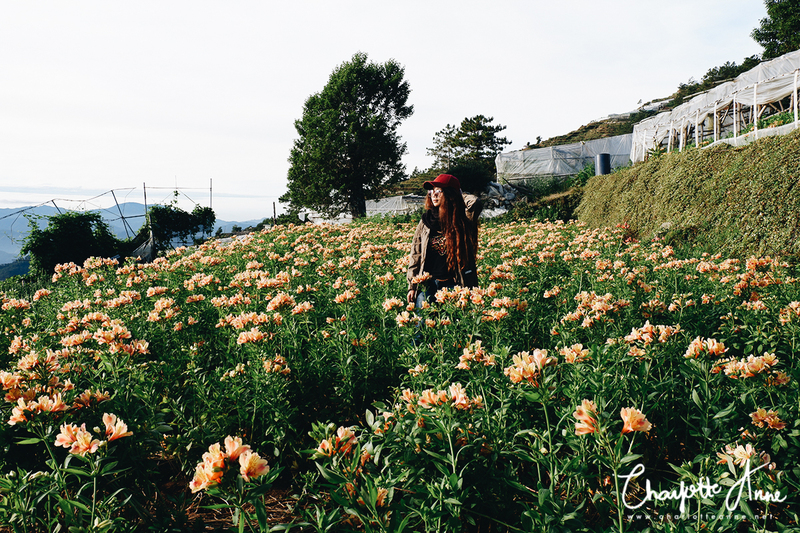 Tired of the usual Baguio trip? 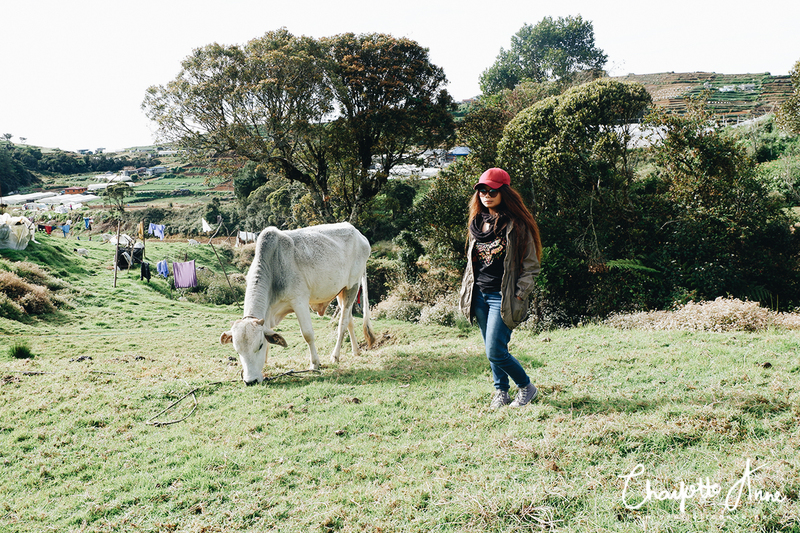 Just in case you needed even more reason to visit Benguet or want to extend your itinerary, here’s one more to spark your wanderlust, for just an hour and a half, to two hours drive from Baguio City. A half-day to full-day trip further north of Baguio awaits wanderers an off-beaten paradise beyond the clouds. 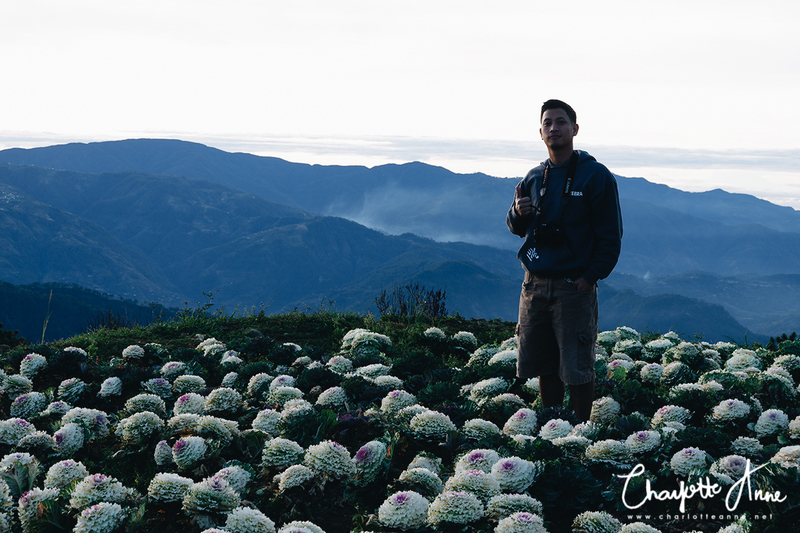 Read on to know more about this hidden gem in Benguet. 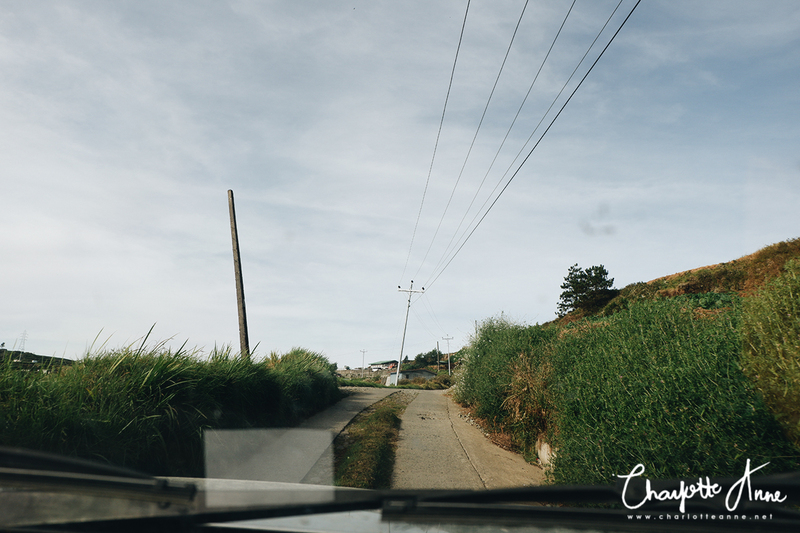 Jump into an 8.37% awesomeness of the whole Benguet as far as your eyes could see. 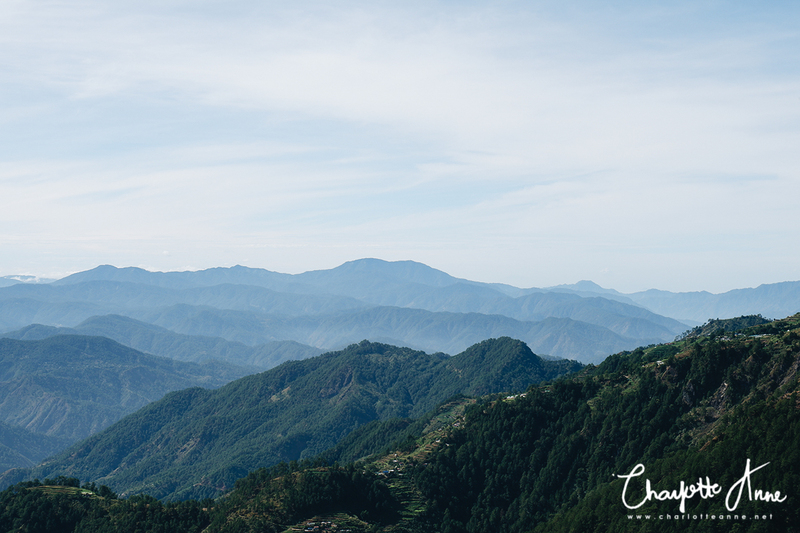 The lush emerald green pine forests adorn the majestic mountains of Atok, Benguet. 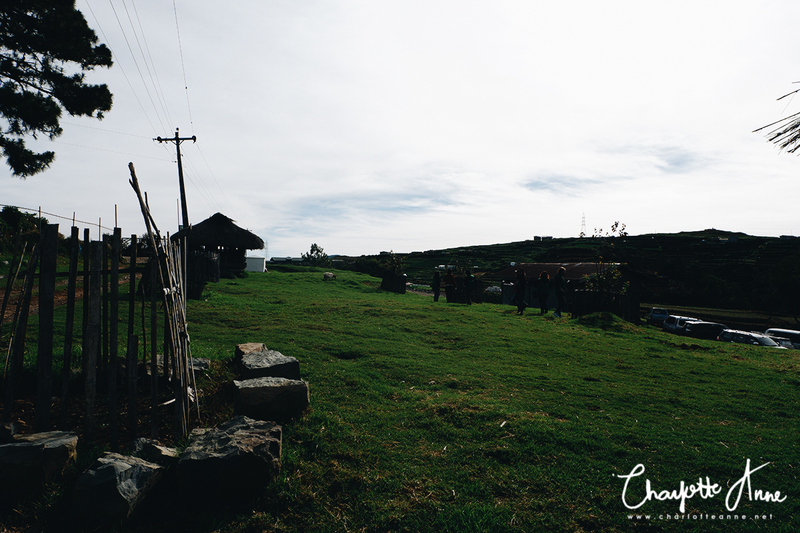 This little municipality of Benguet got it's name from "naypatok shi chontog" which means "on the mountain top". It boasts picturesque and breath-taking mountainous landscapes which is truly a sight to behold. Atok is politically subdivided into 8 barangays. My boyfriend and I are locals of Baguio and we decided to visit Atok during the Panagbenga Festival to escape the crowd and traffic. We woke up at an ungodly hour of 4 a.m. because we want to witness the sunrise at Atok. I just brought with me some bread for a quick munch-up along the way, hopped on to my boyfriend's car, then we left my apartment at 4:30 a.m. and started our adventure to Atok. Before heading to Atok, it is important to contact the Tourism Head of Atok first so they can provide you assistance once you are there. Going around Atok from one spot to the next spots are far from each other and can really be tricky. If ever you are interested to visit Atok, Benguet just text or call 09294903970, Atok Head of Tourism FIRST before going there. Or you may contact the Tourist Information Center at 09465147799 and 09301892757. If you will use the Waze app to get to Atok, type in Saint Paul's Academy of Sayangan, Atok, Benguet. I repeat, do NOT just input "Atok" because by doing so, it will lead you to the other side of Atok. From MANILA to Baguio: ride a bus going to Baguio via Victory Liner or Genesis/Joy Bus (both transit companies have terminals located at Pasay and Quezon City). Travel time: Manila to Baguio - Approx. 4 hrs. - 7 hrs. From Victory Liner Terminal (located at PNR) / Joy Bus-Genesis Terminal (located at Gov. Pack Rd. ), hail a taxicab going to DANGWA STATION (back of Baguio Center Mall). From Dangwa Station, ride any bus or van bound to Bontoc or Sagada. These public transportations will pass by the Municipality of Atok. You can take Sunrise Bus or GL Trans Bus Line at Dangwa Station. Bus leaves as early as 5:30 a.m., next trip is at 6:30 with 30 minutes interval until 11 a.m. Alternatively, there are also buses bound for Sagada at Slaughterhouse Terminal. Just tell the bus driver that your destination is at Atok's Municipal Hall. Travel time: Baguio to Atok - Approx. 1 hr. 30 mins. - 2 hrs. *Note: Price may change without prior notice. Finally, drop off and register at Atok's Municipal Hall, Sayangan, Atok, Benguet town proper to begin your adventure. I repeat, going around Atok from one spot to the next spots are far from each other and can really be tricky. So it is important that you get a tour guide and rent a car. Even if you have your own car with you, they might advise you to rent a car, as some cars may not be able to climb certain places (especially the one's that are not meant for off-road adventures). Red, rose, merlot; pink, purple, picotee; flame, orange, yellow; champagne, snow, white. You couldn’t find a wilder colour wheel except on the palette of a charismatic painter. And yet, these various hues flourish in harmony across the mountains of Atok. 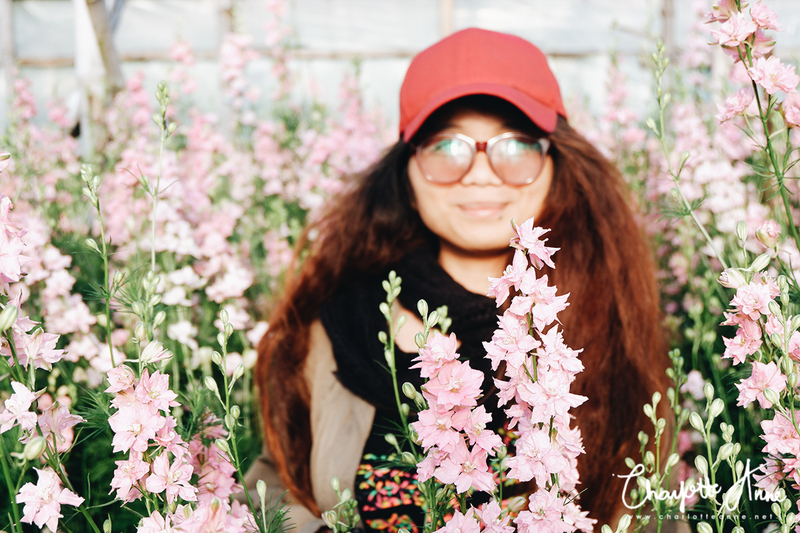 Northern Blossom Flower Farm is one of the private flower farms of Atok that has just been opened to the public for anyone to enjoy and witness the flowers overlooking the magnificent mountains. 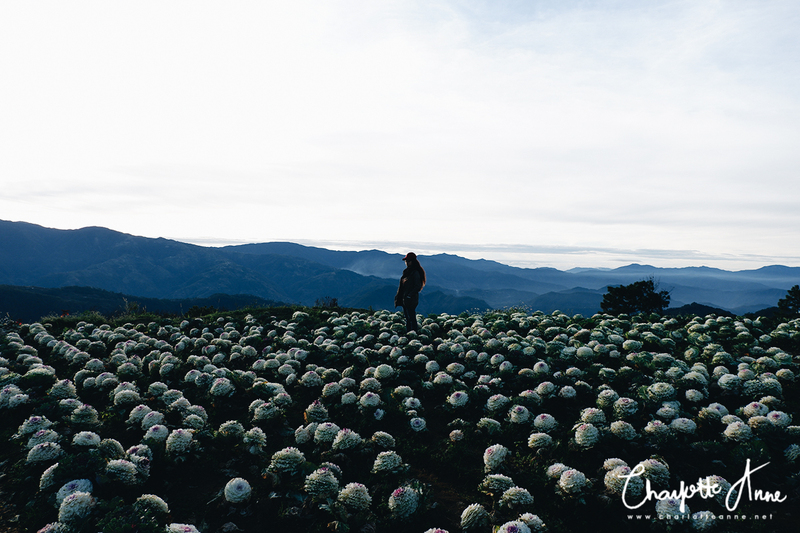 This was our first stop as we want to catch the sunrise along with the patch of cabbage roses. We arrived at 6:30 in the morning and the temperature was really freezing. 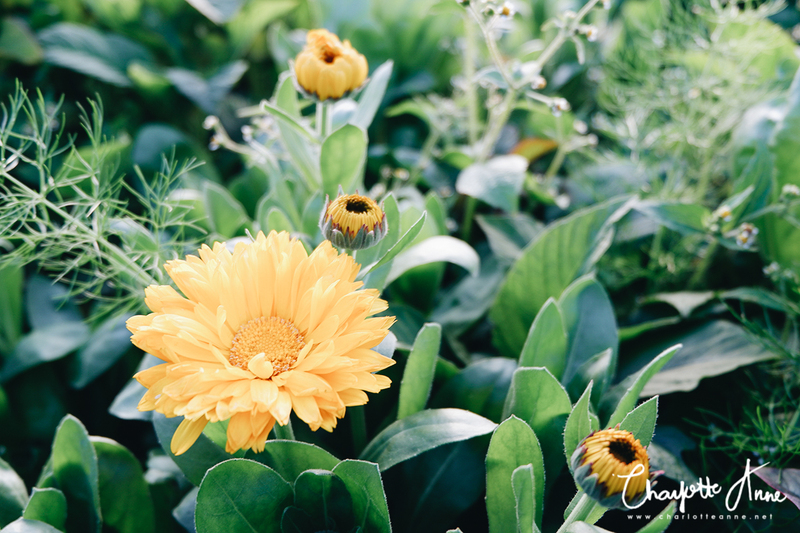 Our arrival came right at the opportune moment as Mrs. Melanie Ganayan "Lany", owner of the flower farm, greeted us with her warm smile as we stepped out of our car. She ushered us inside her house/office. We registered our names on her visitors' log book and paid the entrance fee. She then introduced us to our guide, then we toured around the flower farm. 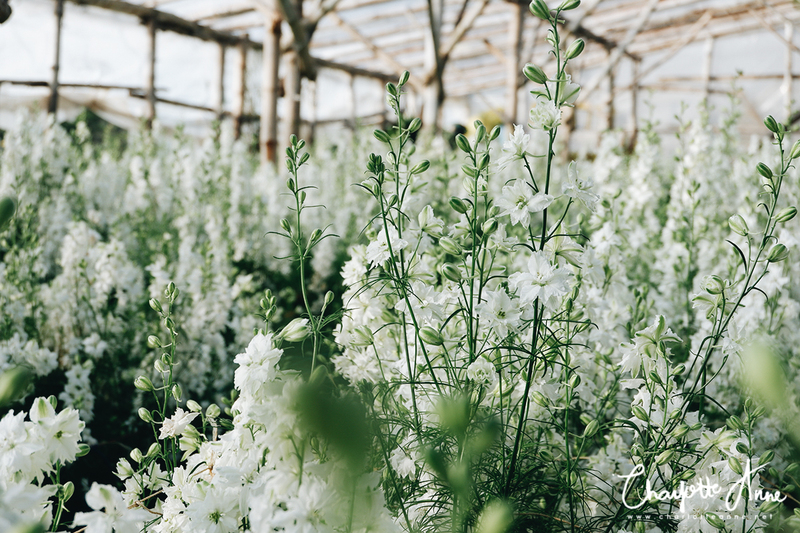 The whole farm boasts different varieties of vibrant floras and plants perfectly situated with views of neighboring municipalities. Every view is breath-taking and one can witness the view of Mt. Pulag and Mt. Timbak from here. 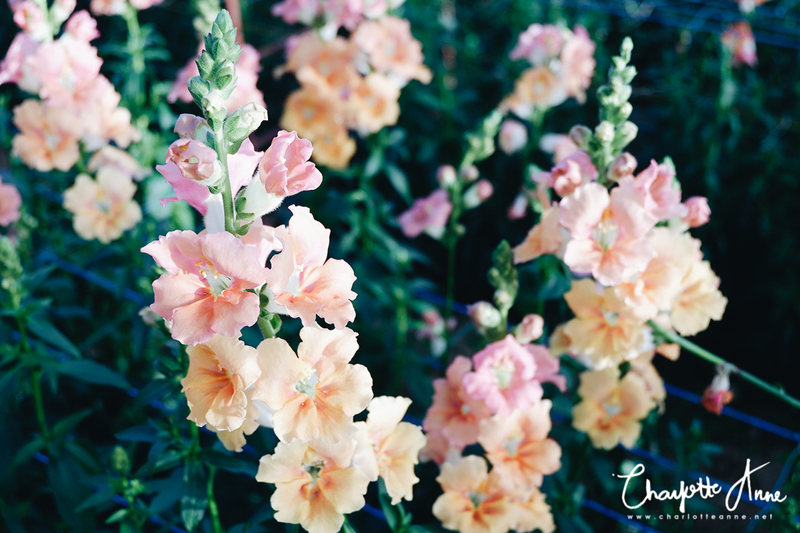 Our friendly guide gave the names of every flower varieties we see in the farm, like rose cabbages, snap dragons, and more, but I couldn't remember them all. Haha. I took a snap everywhere I could but my hands couldn't even press the shutter button as it was frosty cold. I should have brought my mittens. 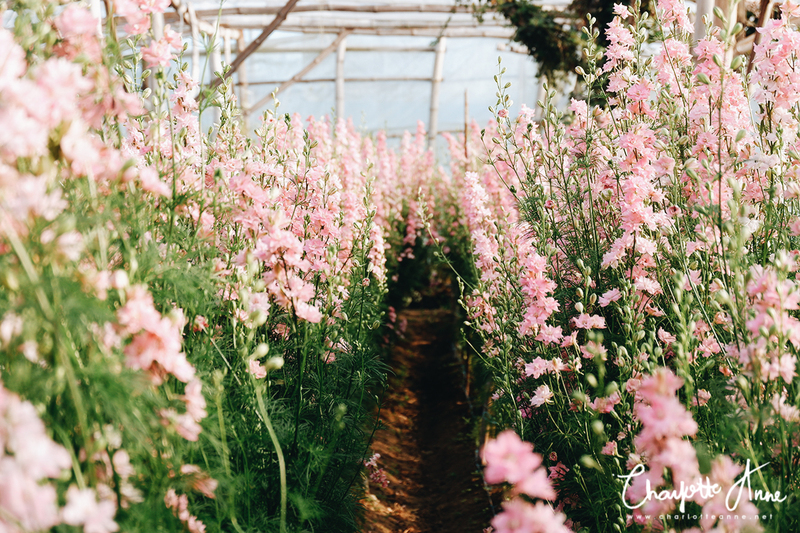 The flower farm tour ended with a free cup of hot brewed coffee and a sweet slice of cinnamon bread which was just perfect. I also ended up buying cactus and succulents to add in my plant collection. 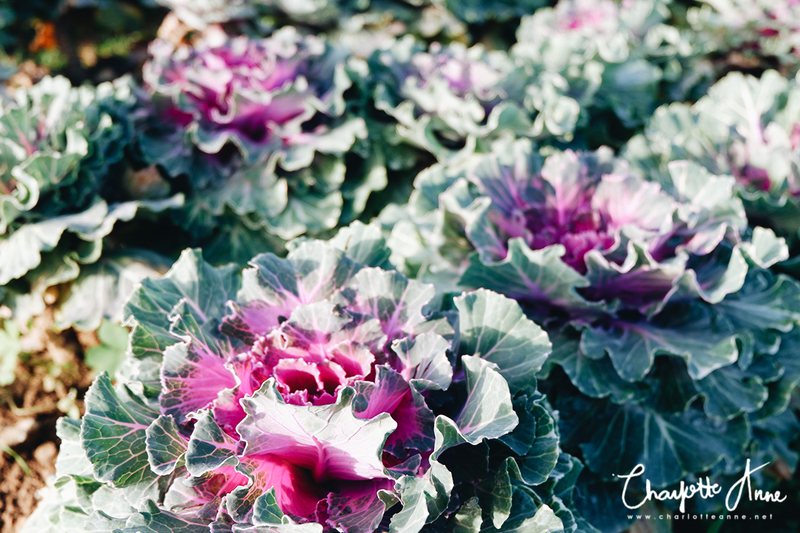 Note: When we went there, half of the rose cabbages were already harvested. There's no need to book a flight to Japan, Korea, or Taiwan to get a glimpse of the Sakura flower. 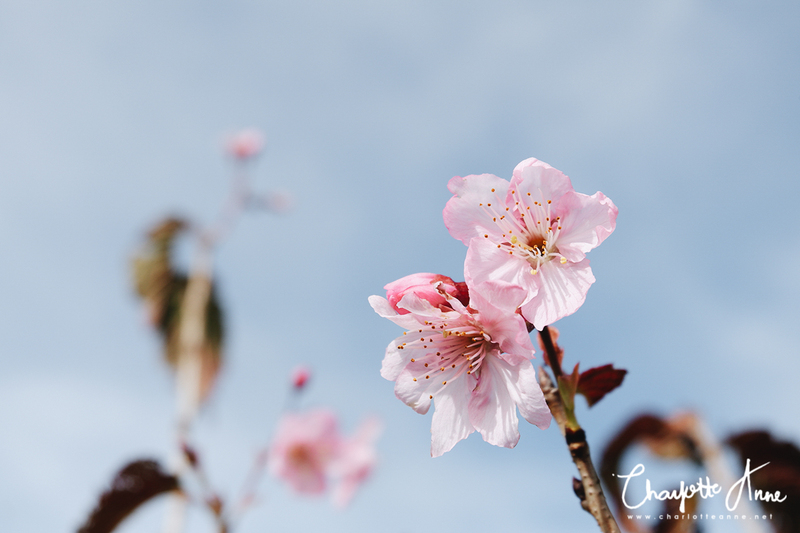 In 2016, around 40 Japanese Sakura trees were planted in Paoay, Atok, Benguet. 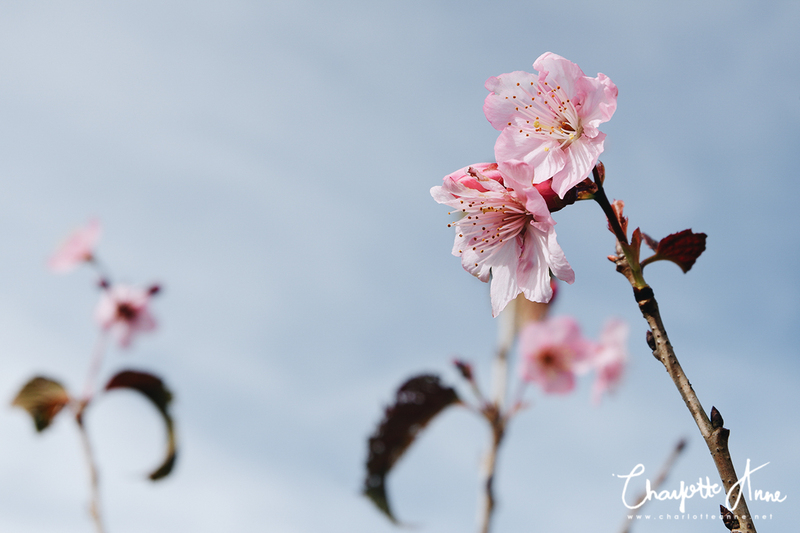 There are two varieties of Sakura trees planted, namely Sindaya (white variety) and Yakiwari (pink variety) at the Benguet Kochi Sisterhood Park. 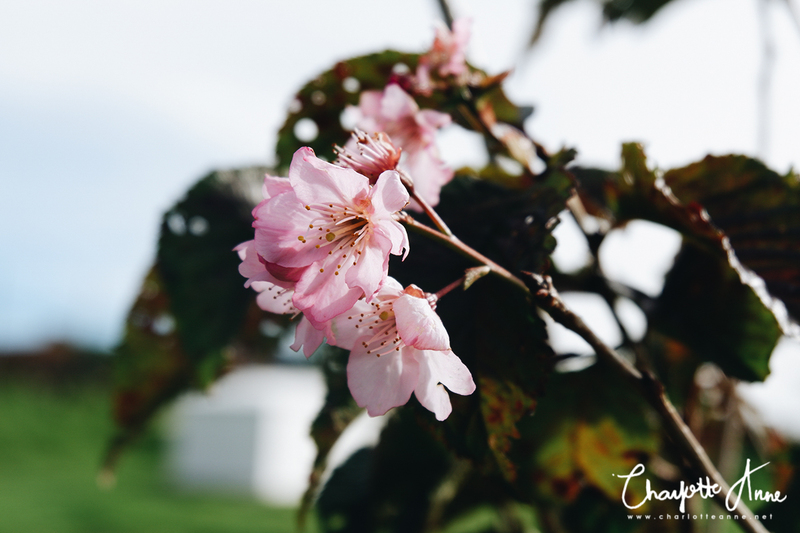 We arrived at the Benguet Kochi Sisterhood Park at 8:20 a.m. to catch the Yakiwari Cherry "Sakura" blossoms. This park is a friendship park commemorating the 40 years of sisterhood between Benguet and Kochi prefecture of Japan. It sits within the Haight's place. 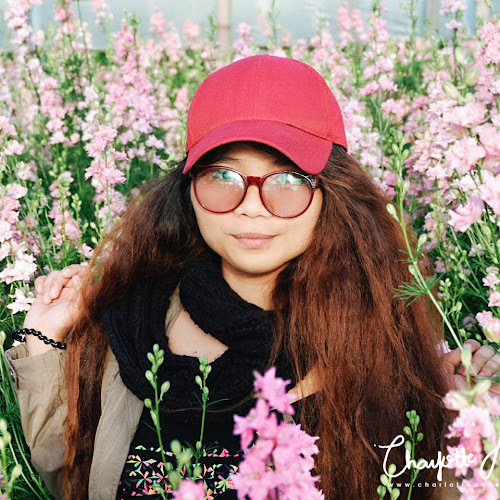 Moreover, the place offers a spectacular view of the peculiar vegetable and flower farms including, and the view is quite stunning as if it feels like the movie set Hobbiton in Tauranga, New Zealand. The trees are still young and expected to mature in one to three years. 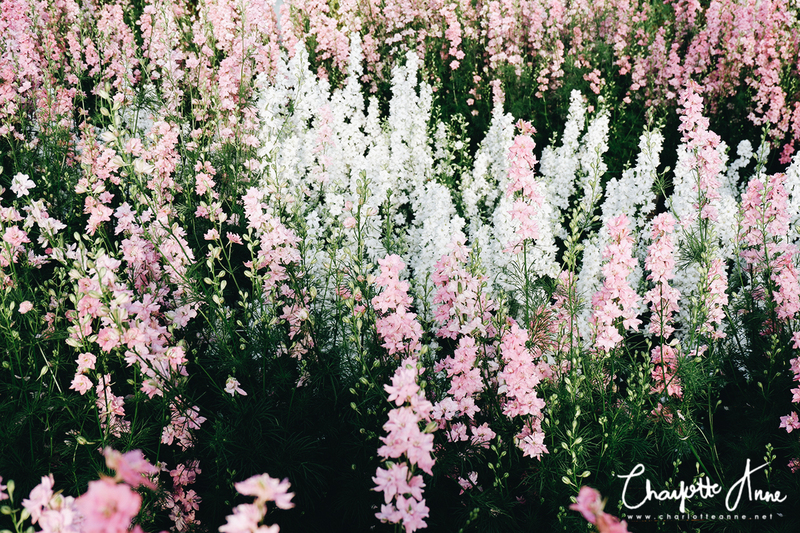 I can just imagine how the park would look like in the future, it would be a magical moment as wondrous spectacle of these white or pink flowers blooming en masse. It would be a great place to go for a picnic with your other half. There's a donation box propped in the area. A little donation might not hurt and a few coins or papers will go a long way to maintain the park. Don't expect the Sakura blossoms all year round. Local authorities are still studying when is the flowering time of these Sakura trees, as the trees were just planted in 2016. My guess is it can commence from January to March or February to April. If you have a car with you, no worries, the park has it's own parking space. 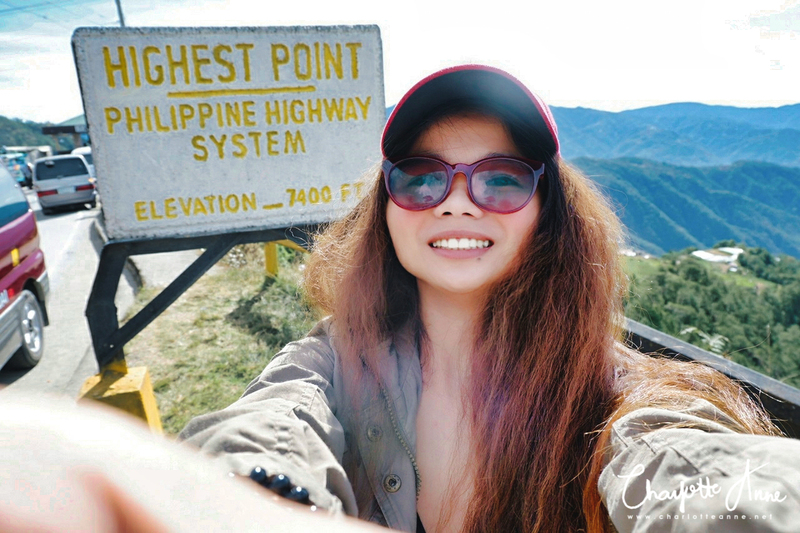 The highest point is the highest of the Philippine highway system. Located at Brgy. Cattubo, Atok along Halsema Highway at Km. 52. It has an elevation of 7,400 ft. above mean sea level. There's a view deck in the area for you to enjoy one of the best views overlooking vegetable gardens and lush pine forests. During rainy season, the place is a paradise in the clouds. 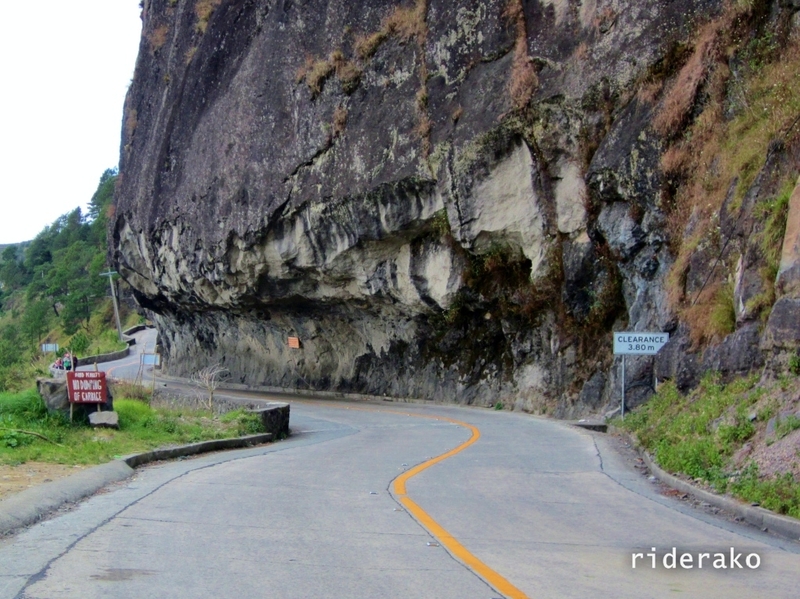 Going to Atok there is a 90% chance that you might witness this man-made half tunnel of solid rock located along the Halsema Highway at Km. 57, Bonglo, Paoay, constructed in the early 1960's by a joint team of DPWH and Lepanto Consolidated Mining Company. It measures about 50 meters in length. 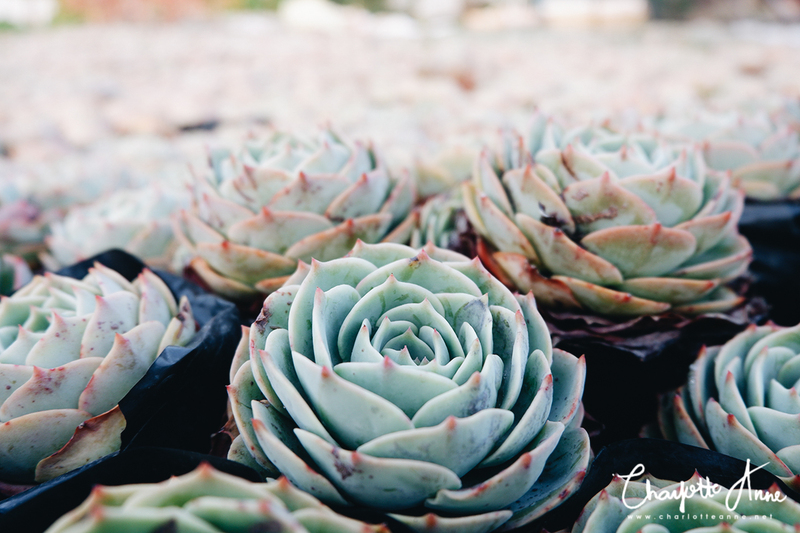 Here are other potential attractions if you want to visit Atok, more than just it's flower farms, or if you are planning to do it for a whole day or a two. Haight's Place/Paoay Vegetable Gardens is located at Proper Paoay. The place is named in honor of Mr. Haight, who brought the first vegetable seedlings for in the place. Mr. Haight was an American soldier during the Spanish American war that married local lass and settled in the place. The Haight's place is about 7,937 ft. above sea level. Due to its high altitude, the place experiences frost during the month of December to February. It is Atok's coolest place wherein temperature goes down to 0 degrees centigrade during the early and late months of the year. It offers a spectacular view of the beautiful vegetable terraces including the Naguey Rice Terraces toward the west. Mt. Timbak. the third tallest mountain in Luzon, next to Pulag and Tabayoc. It’s also the highest of the mountains along Halsema Highway and covers a wide range. The hike up the mountain isn’t a difficult one. Hike to Mt. Timbak's summit is just for 15 to 30 minutes from Timbak's Elementary School, if you have your own car. However, if you will start your trek from the jump-off point (Km. 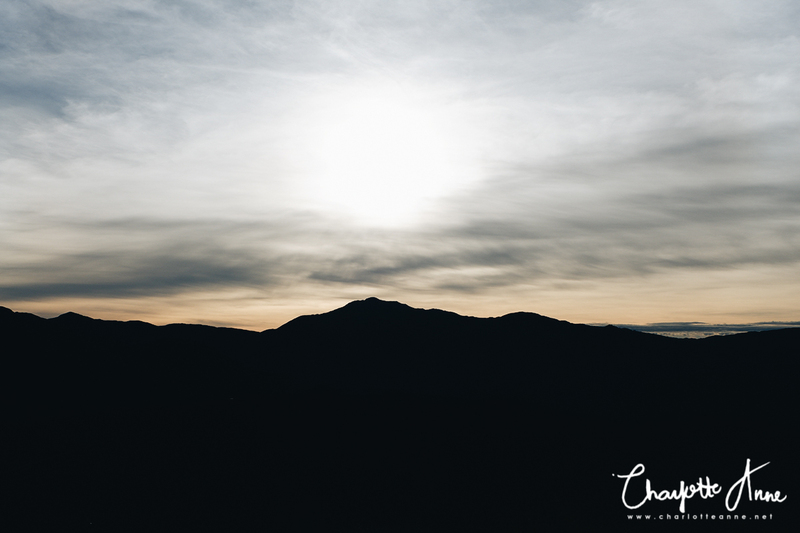 55 along Halsema Highway), prepare yourself to walk in a cemented road for almost 2 hours to reach the summit. Mt. Timbak's summit is marked with three white crosses and it is aptly called as the "mini-Cavalry". Bosleng Lourdes Grotto is located at Barangay Paoay and it is a 20 minutes hike if you are coming from Mt. Timbak a man-made grotto underneath a pile of big rocks with a garden of vegetable such as cabbages, potatoes, carrots and cut flower productions surrounding it. t is being utilized for the conduct of prayer meetings/pilgrimage by the Roman Catholic Congregation. An image of the Virgin Mary is installed inside the grotto. The cold climate and serenity of the place make it ideal for the prayer retreats and meditations. The place is reached thru a foot path. There are no amenities in the area. Spanish Trail. It was constructed as a horse trail during the Spanish Period and it is still exists to this time. The unique features of the trail are three man-made tunnels carved through huge rock formation about 10 meters long each. Naguey Rice Terraces. Approximately 33 hectares stone walled terraces were built along the banks of the Amburayan River by the ancestors of the people of Naguey. This is where the "Kintoman" rice is raised extensively and yet not enough for the purpose of making rice wine. Adevonan Waterfalls. It is a potential natural attraction found in Banayakeo, Poblacion. The falls is 90 ft. high. The natural pool below the falls was used by soldiers as a bathing place during WW II. It is still being used by the local people for the same purpose. PUJs regularly ply to Sitio Banayakeo where it takes a kilometer hike to the place. The site can also be reached from Tublay, although with a much longer hike. Amburayan River. Located at barangay Naguey and Pasdong. It is about 30 kilometers more or less that runs from Pasdong to Naguey. This breath-taking view offers some portions for swimming and fishing whilst the friendly riverbanks for camping and picnics. PUJs ply to Naguey and Pasdong daily via the Halsema highway then branch off to the left at Km. 30 for a two-hour drive. It takes a few minutes hike to the river. Accommodations in Atok are scarce, but if you want to spend a night or two there, make sure that you have a reservation in advance. 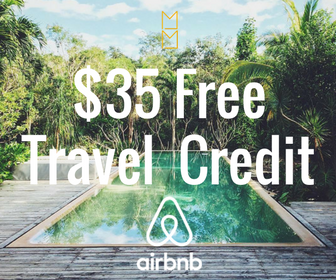 You can do this by contacting the Tourism Head of Atok or Atok's Tourism Office before going there a few days before your intended trip. I was informed that Northern Blossom Flower Farm offers a home stay accommodation for limited number of people only. For accommodation assistance, you may text or call 09294903970, Atok Head of Tourism. Or you may contact the Tourist Information Center at 09465147799 and 09301892757. Restaurants and small canteens can be found along the highway as they cater to the commuters. There are more at km. 26 (Saddle, Caliking, Atok) and km. 50 (Sayangan, Paoay, Atok). The climate is temperate with two pronounced seasons. The wet season starts in the month of May and ends in October. The wettest part of the year is July and August. Dry season starts in November and ends in May. The temperature goes down to below 0 degrees centigrade at Paoay during the days of late December to early February. Temperature at lower areas goes up to 25 degrees at Naguey proper and Pasdong proper. Occurrence of strong winds stars in November to January. Typhoons and floods usually occur in June to September. WHEN IS THE FLOWERING PERIOD? I should add one more thing: the flowers don’t blossom at the same time every year. Flowers are seasonal and according to the locals, the best time to visit the place is during April. The following photos were taken at the end of February. Also, do note again: don't expect the Sakura blossoms all year round. Local authorities are still studying when is the flowering time of these Sakura trees, as the trees were just planted in 2016. My guess is it can commence from January to March or February to April. 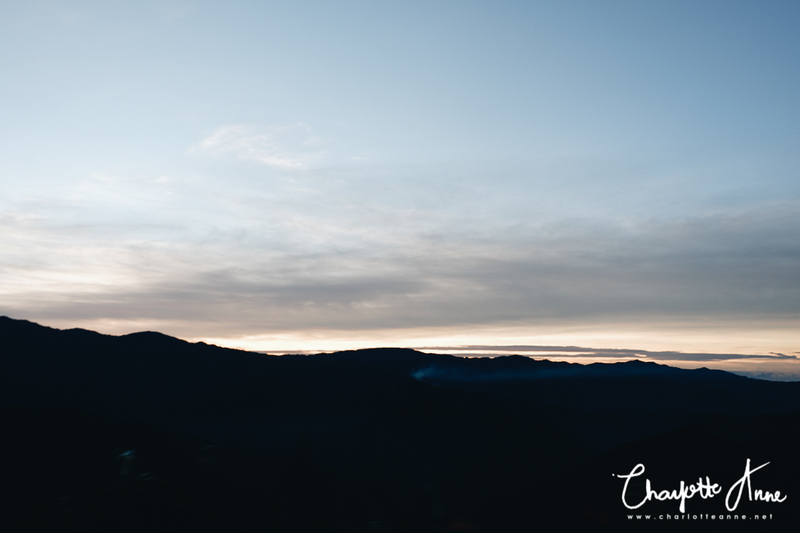 Atok may be a small municipality in Benguet, but it has a lot more to offer to keep you coming back for more! 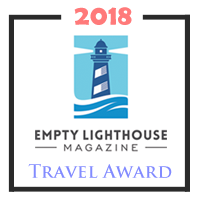 Please feel free to tweak this itinerary and make full use of my other activity suggestions in order to make your trip shorter or longer and better fitting for your travel style. What do you think of this Atok half-day tour? Which of the following spots do you like the most? Have you been to Atok before? I’d love to hear your thoughts in the comment box below. hi! when we go to atok from baguio via commute, where do we ride back to baguio from atok? thanks for the help! Hi, you may ride any bus passing along Atok. These buses will go back to Baguio. You can ask the locals if there are any available van transportation going back. Hi! I would like to know if you know how to commute back to baguio from atok? 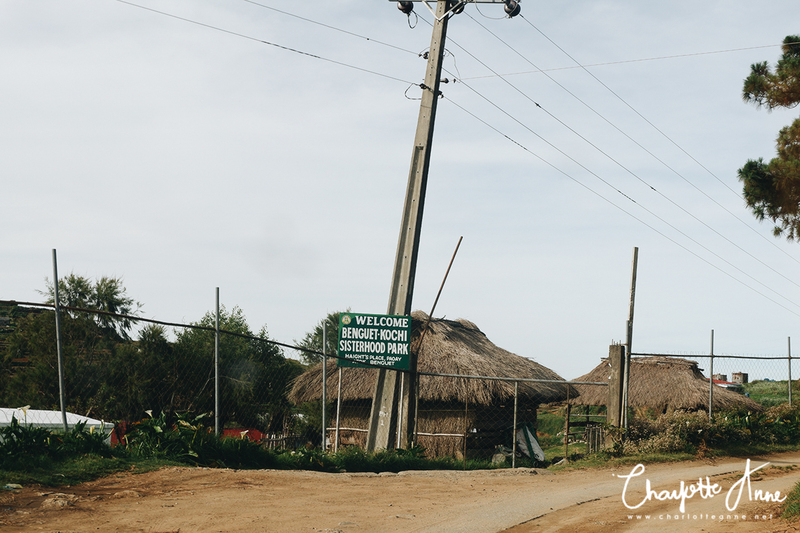 All buses passing along Atok will go back to La Trinidad (where the famous strawberry farm is - Just 10-30 minutes away from Baguio) or Baguio. 1. What po time nag oopen yung northern blossoms? I texted Ms. Lany, still waiting for her reply. 2. Yung municipal hall nila is open as early as 5am kaya for registration? Planning to go to northen blossom only and sakura park. Is atok benguet a safe place to solo traveller? 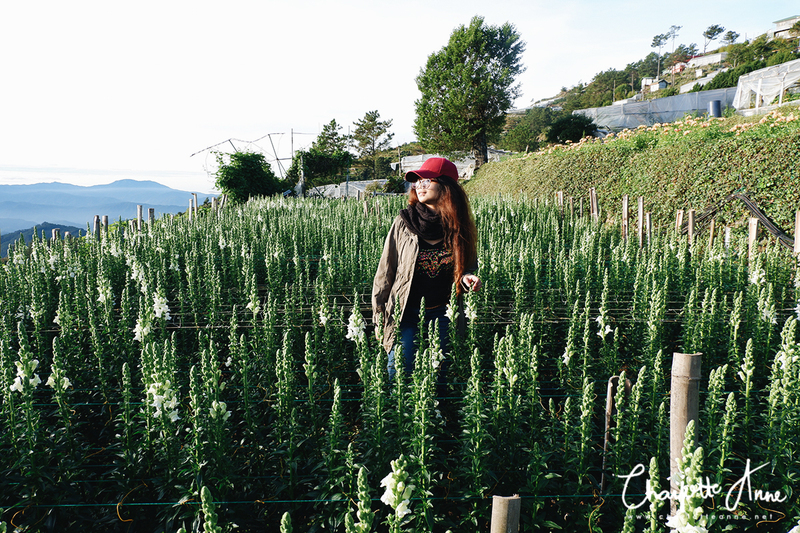 Reading your blog about the famous flower farm gives me the idea to celebrate my birthday there. Atok, Benguet is a very safe place to travel. The locals their are very friendly and helpful so you do not need to worry about a thing. 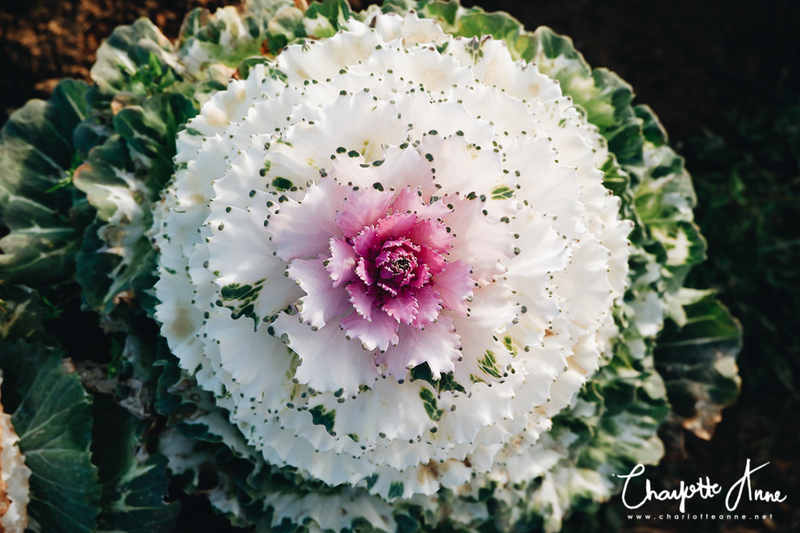 hi, is the cabbage rose in full bloom this April? I am not sure about that. 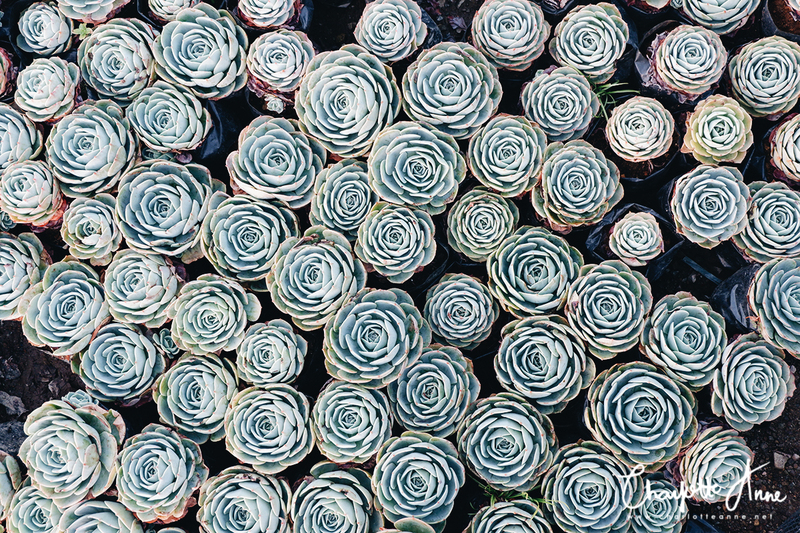 Some variety of flowers and crops don't bloom whole year round. According to the locals, the best time to visit the place is April. Hi, may I know how much you paid for the tour guide? Hi Glen, tour guide fee is at P500 pesos for 5 persons (1 guide for 5 persons). Parang P100 each na lang kayo. I don't know kung nagtaas sila ng rates now. Also, I heard, Northern Blossom Flower Farm nagtaas ng entrance fee sa dating P100 per person naging P200 na. Thanks Charlotte. We are planning to visit Atok this Saturday May 5. I was wondering if you know the schedules of the buses bound for Sagada at Slaughterhouse Terminal. We want to catch the sunrise kasi. If we take the 5:30am buses at Dangwa Station I'm afraid di na namin maabutan. Do you know if may mas maagang schedule don? As far as I know, 5:30am is the earliest departure time for buses bound to Sagada and/or Bontoc. 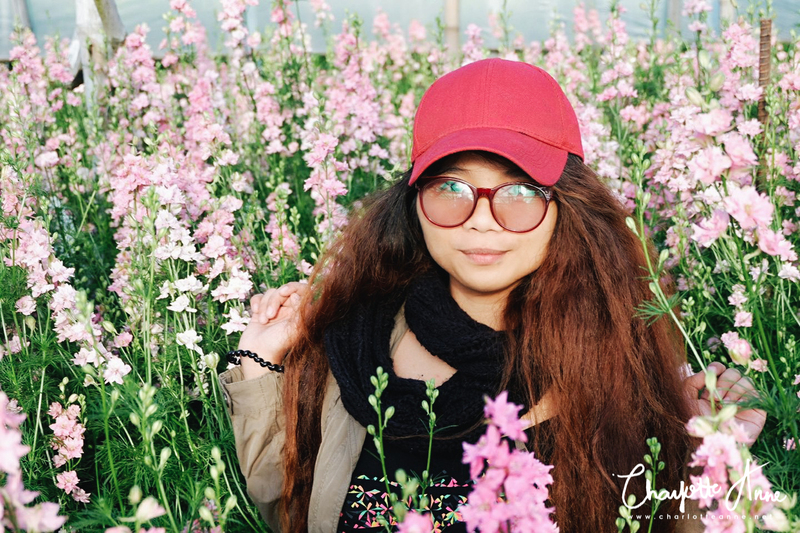 Hello, on your third picture is it also located on Northern Blossom Flower Farm? thanks in advance. Yes, it is located at Northern Blossom Flower Farm. Hi Ms. Charlotte, kaya nb ng small car going there? I am not sure kung kaya, kasi paakyat talaga ang daan going there. 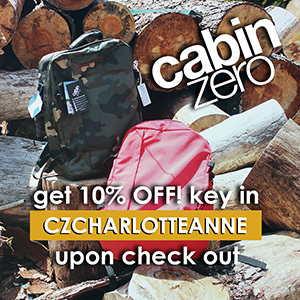 Hi charlotte, is it okay to travel with a 3y/o and 8y/o children even without a private car? Thanks. Hello charlotte, can we use our motorcycle to reach atok? Tight budget like can we just go straight up to highest peak? Definitely. Actually, yung mga nakasabayan namin mga riders. Hello nasa baguio ako ngayon. Can we use our motorcycle to reach atok okay lng ba sa road ang motor? And since tight na budget ko, can we justgo diretcly to highest point without entrance or what? Uwi nako manila tomorrow hapon. Daanan ko muna sana atok. Yes pwedeng pwede. Maraming mga riders pumupunta duon. You don't need entrance to get to the highest point. 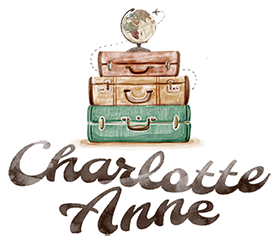 Hi Ms. Charlotte :) What time po last trip ng mga bus from Atok to Baguio po? There are no buses directly to/from Atok. From Atok, you may opt to ride a bus from Bontoc or Sagada. These buses will pass by the Municipal Hall of Atok and will go to Baguio. You may want to ask Sunrise Bus or GL Trans Bus Line for the time schedule. 1. Malayo ba ang northern blossom farm mula sa municipal hall? Solo traveller lang kasi ako kaya ba kapag di na kukuha ng guide at rent ng car? 2. 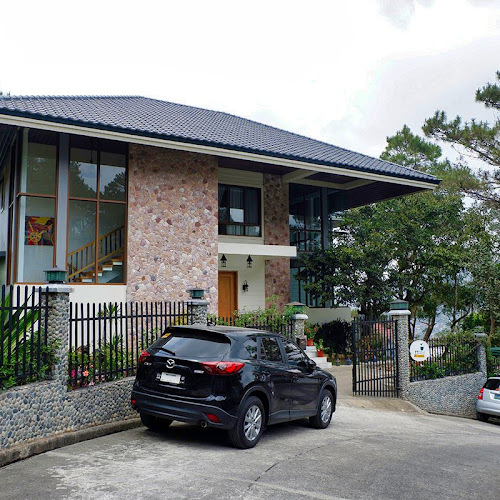 Meron ka bang recommended budget friendly accomodation sa baguio city for solo traveller? 3.24 hrs ba biyahe ng mga bus from atok to baguio? 1. Northern Blossom Farm is just a few steps away from Atok Municipal Hall. Kapag yung farm lang ung pakay mo doon, okay lang kahit di ka na dumiretso sa municipal hall at magrent ng car. If you are planning to visit other spots aside from the farm, you may want to consider renting a car. 2. There are a lot of budget friendly accommodations in the city. Mostly ranging from PhP350 and below. 3. No. The first trip starts at 5:30 a.m., next trip is at 6:30 with 30 minutes interval until 11 a.m only. You may want to contact, Sunrise Bus or GL Trans Bus Line for this information. Wow. Very nice blog. Your photos are exceptional. And you have provided very useful details for the readers - very informative! Keep it up! Personally for me, no. But you can still visit if you want. If you want a rainy Atok experience then you can opt to go. Typhoons usually occur June to September. Best month is from January to May. Hi meron ba accomodation sa atok ,plan ko kasi from manila diretso na atok dun na kami mag overnight .commute lang kami? Hi, please take time to read the post po. SAN PO KAYU NG RENT NG PRIVATE CAR? SA ATOK N BA MISMO ? MGKNO? Hi, we have our own car so we didn't have any problems with the transportation. If you want to do it D.I.Y. still, you can. Just ride a bus going to Sagada or Bontoc and drop off at Atok. Don't forget to register first at the municipal hall, then you can rent a car from there that will transport you to any spots you want. HOW TO RENT CAR FROM ATOK? OR WAST IT FROM BAGUIO? You may rent a car from Baguio to Atok. Is it safe to bring my 1 year old baby at northern blossom farm? commute lang po kami. ok lang po kaya ? Hi it's okay to bring your baby. However, kapag rainy season. It's best not not bring na lang kasi commute ka. Baka mahirapan ka. Ms. Charlotte, pwede kayang mag prenup around floral garden? 😊 thanks. I believe so. However, it is best that you contact Northern Blossom Flower Farm first before doing so. Hi, yes you can bring your own car like we did. But if your car is not for off-road adventures then you may rent a 4x4. Hi! Verg helpful blog. Btw, how far is the highest point view deck from the flower farm? Kaya lang ba lakarin yun? Hi Mary, may kalayuan sya but if you are more adventurous pwede mo naman lakarin malayo nga lang talaga. Hi! Planning to go on Northern Blossom Flower this December 2018. Though dalawa lang kami. Should i still need to go and pay tourist fee on Municipal Hall and rent a tourist guide? P500.00 is quite costly for two people lang e. Thank you! Hi yes, you need to pay for the tourist fee. Your fee would really help the locals a lot. Hello ask ko lang po kung kaya ba ng Hyundai eon na sasakyan papunta sa atok? Ms. Charlotte, Good Day! Ask ko lang kunmay idea ka kung pwedeng mag hire ng taxi from city of baguio to atok? And Magkano po kaya? Thanks! Yes may mga taxi na for hire going to Atok. I don't know lang kung magkano since di ko pa natratry. Depende sa usapan nyo ng taxi driver. Take a bus from baguio city, either D Rising Sun Trans, GL Trans, Lizardo Trans, A Trans, James Band Liner or UV Express going to buguias or Mankayan. From Atok, mag antay nalang po kau ng same PUVs na nasabi sa taas pabalik ng baguio then sabihin nyo ibaba kau sa km6. Papuntang strawberry farm. Malapit lng po ang strawberry farm sa baguio. About 20 mins. Hello miss charlotte, were going to baguio next month and bus via atok, just want to ask if the buses going to atok will stop at the place where the highest point is? Hi, highest point ay stop over area lang sya. so I think camping is not possible. Yes dun dumadaan bus pa-sagada. if we will stay there for a night, may place ba for bonfire. i had some research, meron transient or full house sa Northern Blossom. Yes, meron transient ang Northern Blossom pero there's no place for bonfire. magkalayo po ba ang northern blossom and sakura? Yes, malayo siya. You need a car for it or just rent na lang.